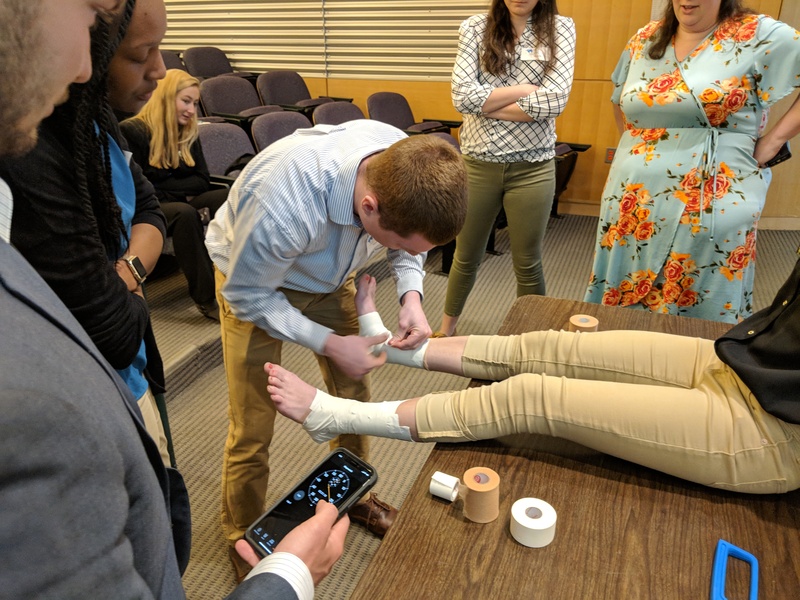 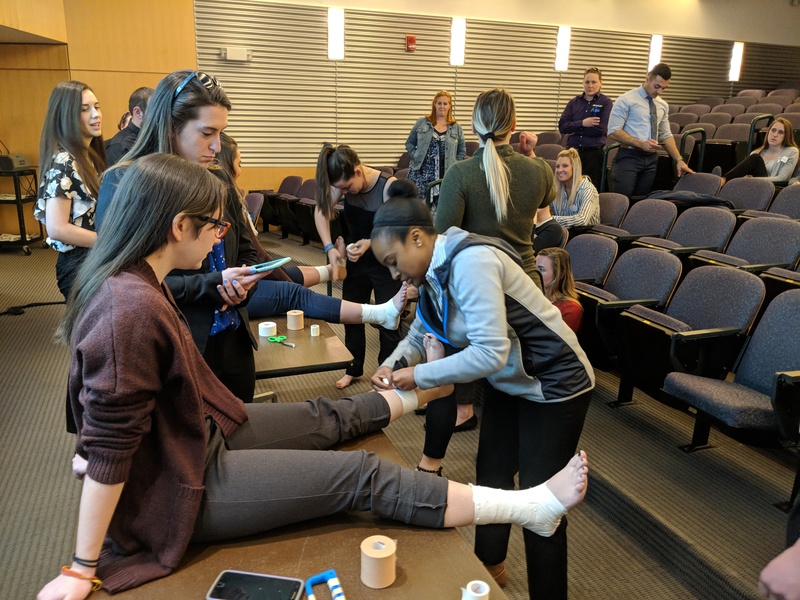 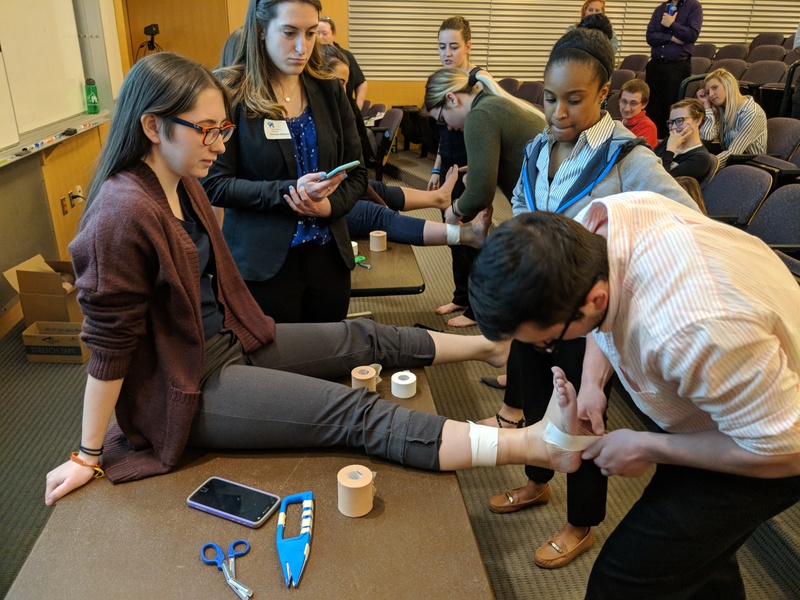 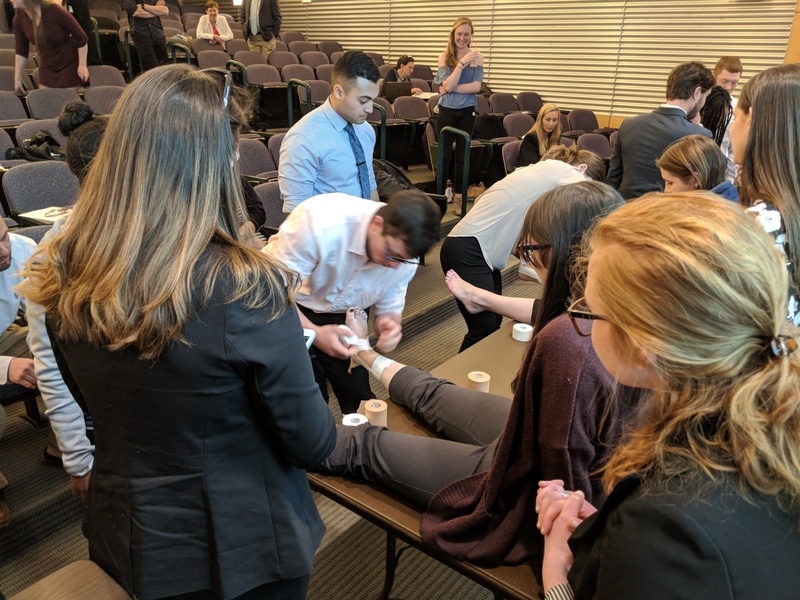 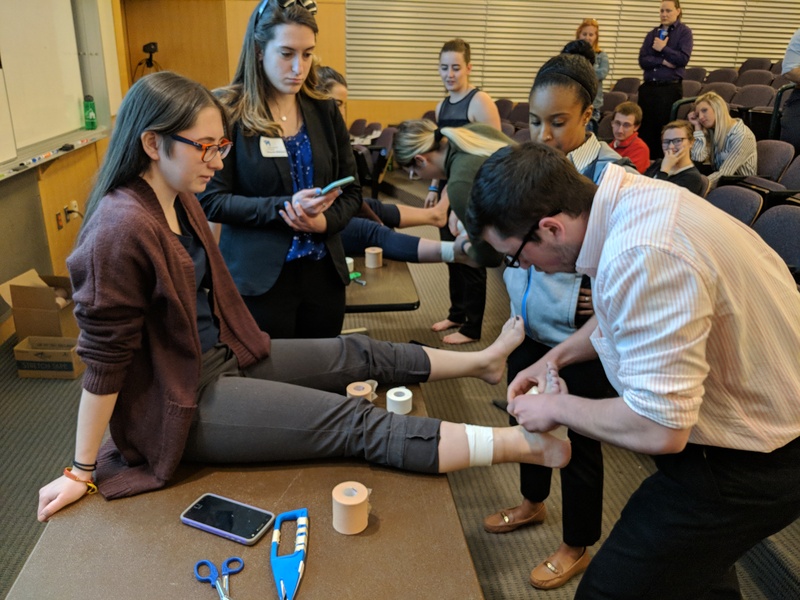 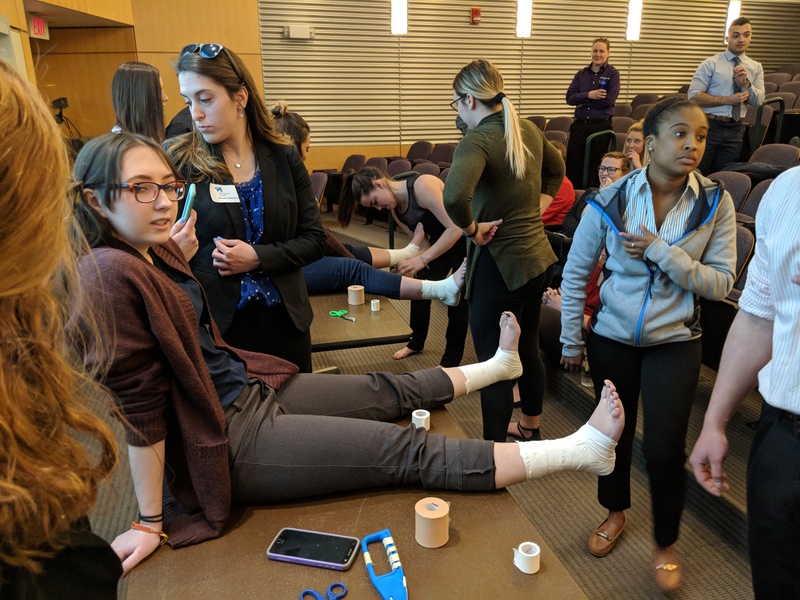 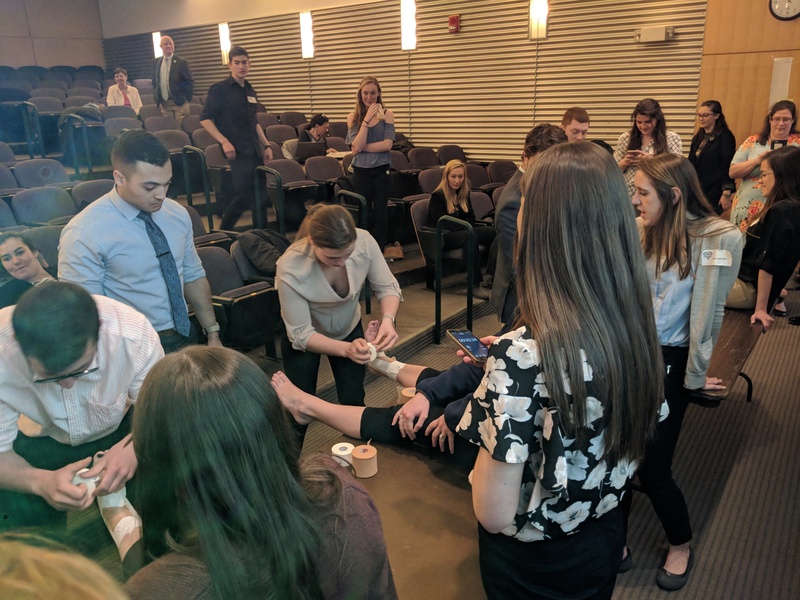 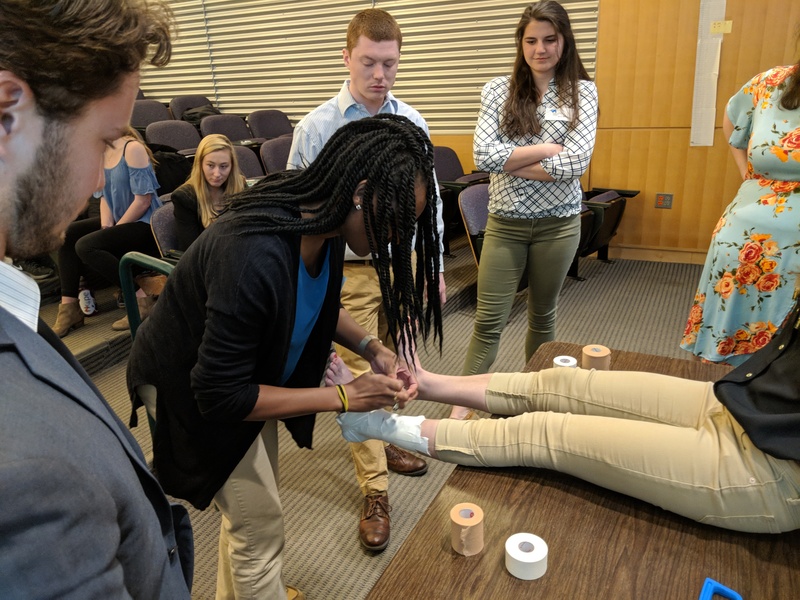 Plymouth NH: The 2018 New Hampshire Athletic Trainers’ Association Student Symposium was held Sunday April 22nd at Plymouth State University. 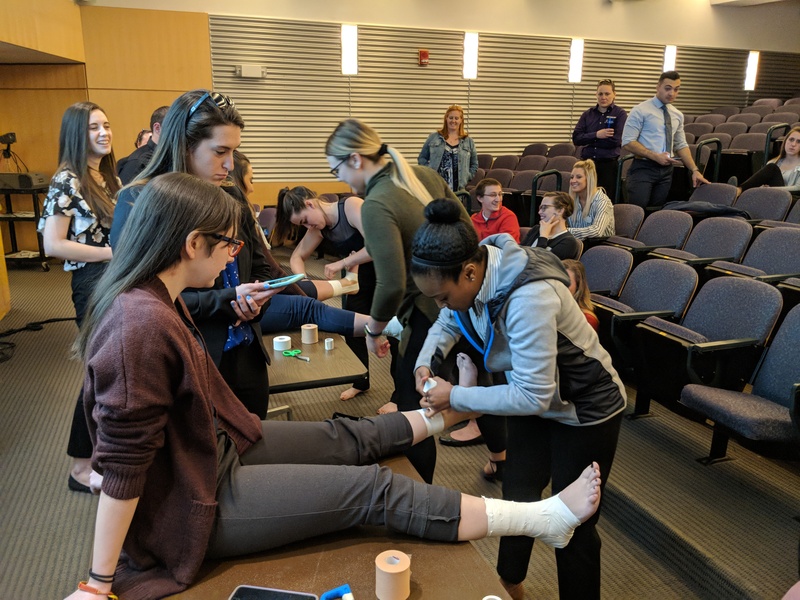 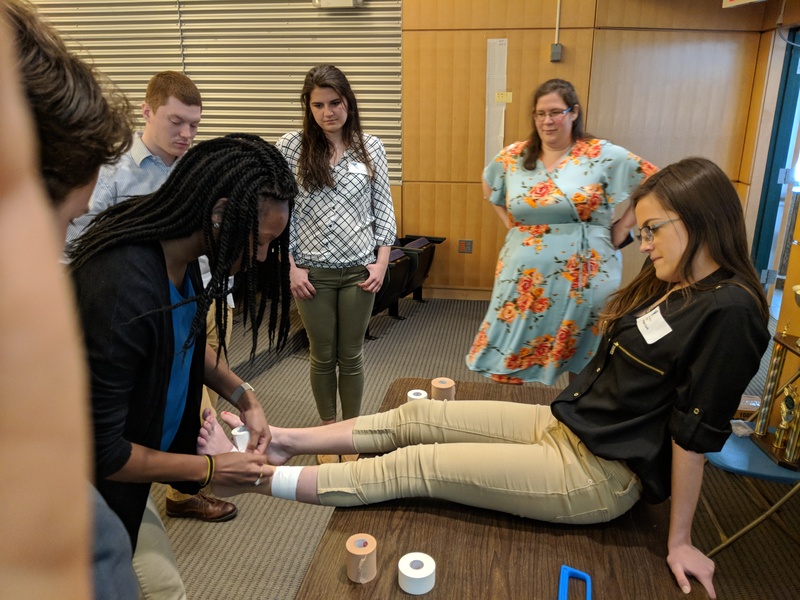 The symposium serves as an opportunity for the athletic training programs of New Hampshire to come together and share scholarly work completed by students. 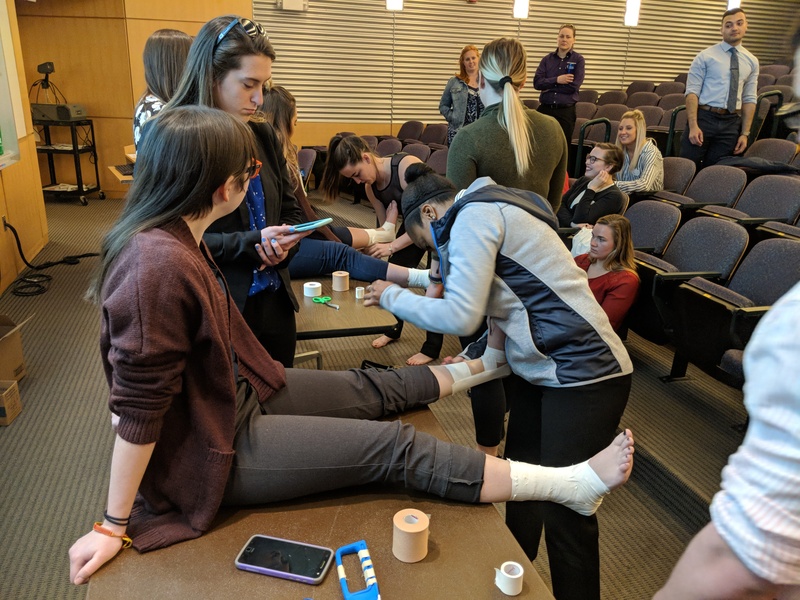 In the afternoon students had the opportunity to compete against one another in a team taping competition and team quiz bowl. 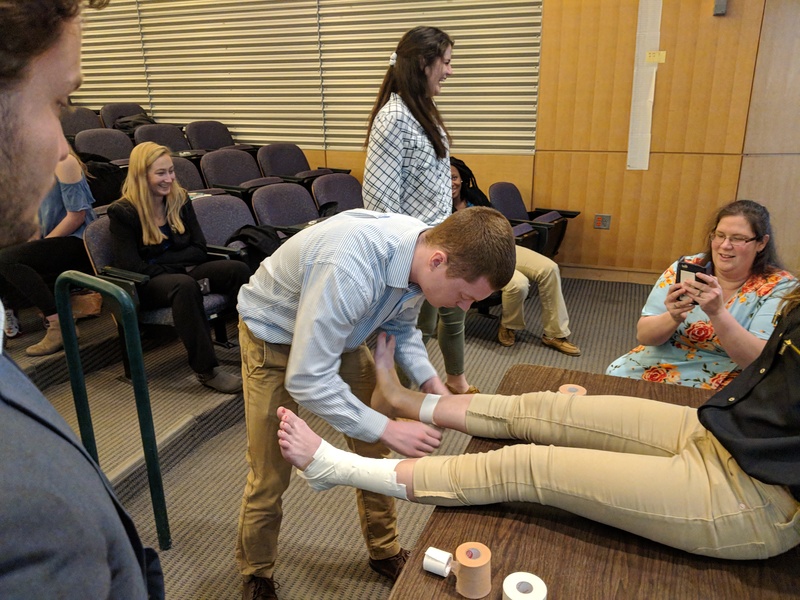 The taping competition was won by Plymouth State University. 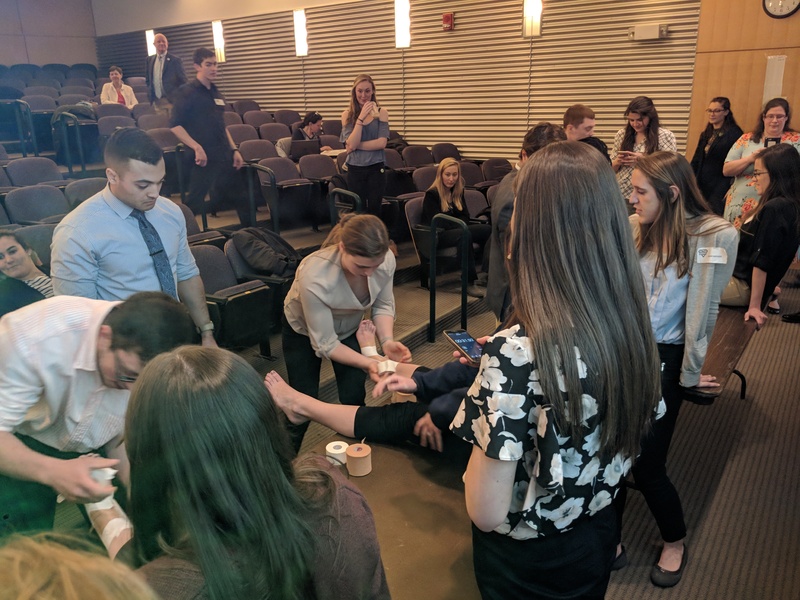 The quiz bowl was a tightly contested affair with the Plymouth State team of Emily Gray, Evan Hanson, and Ali Sheehan edging out Keene State’s Michaila Carey, Josh Cadorette and Kaitlyn Powers who finished in second place. 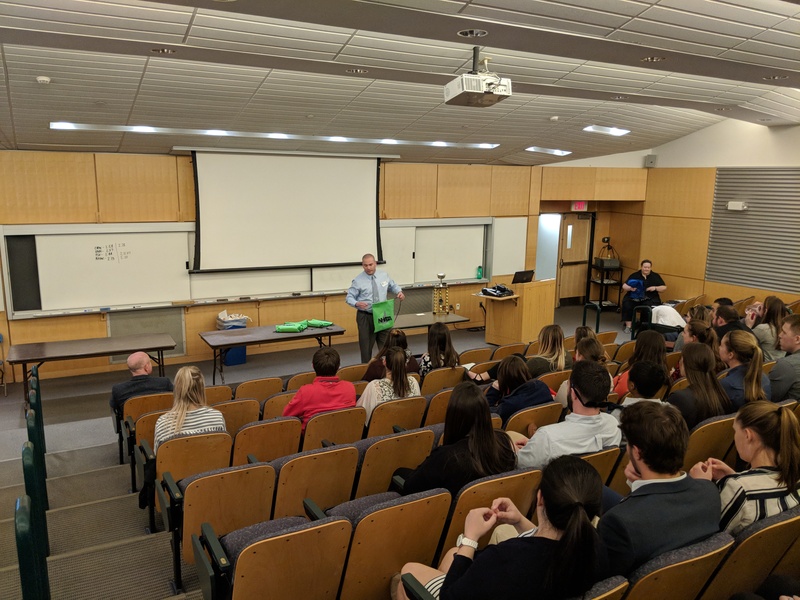 The day closed with the presentation of scholarship winners. 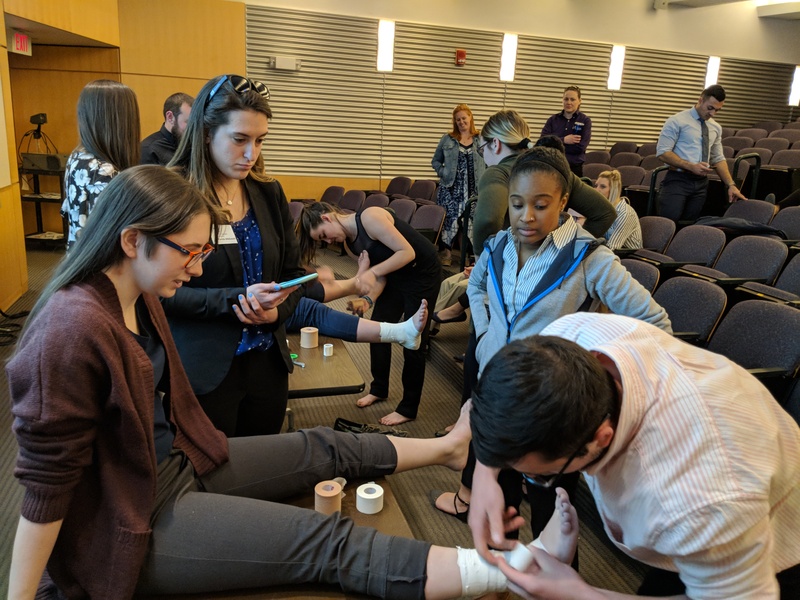 Alexandra Raifsnider of Plymouth State was awarded the Daniel R. Sedory New Hampshire District 1 scholarship. 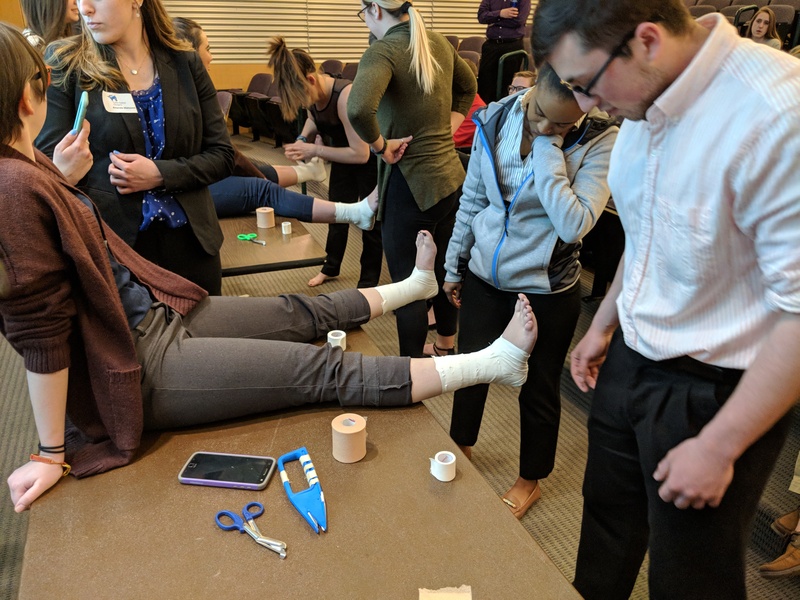 Brooke Bergeron and Madeline Zimmerman of the University of New Hampshire were awarded the two NHATA student scholarship awards. 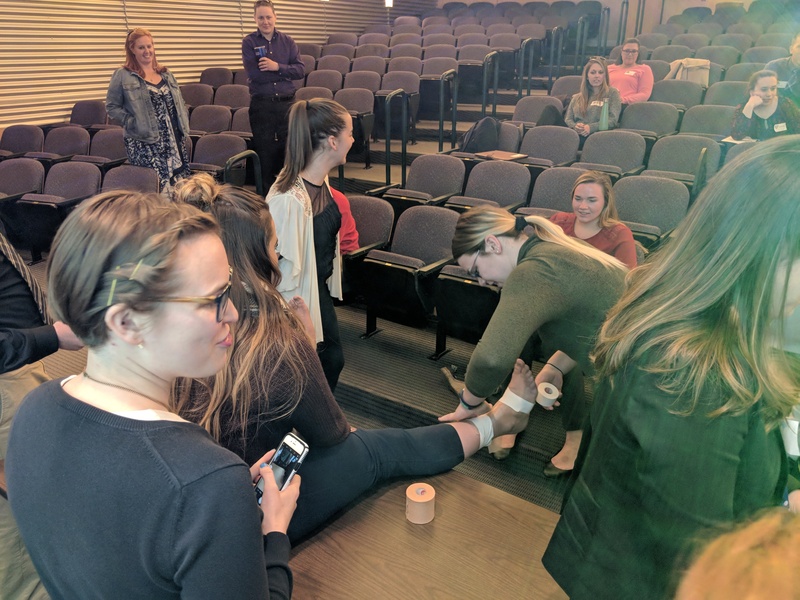 Contact NHATA Secretary Steff Stiles at secretary@nhata.org for more information.